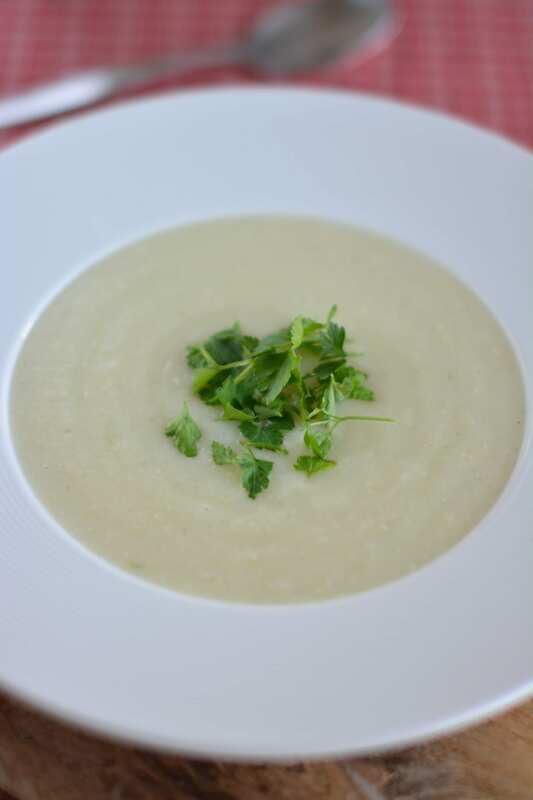 Without a doubt this creamy and hearty cauliflower puree soup is one of the best soups I’ve ever had. 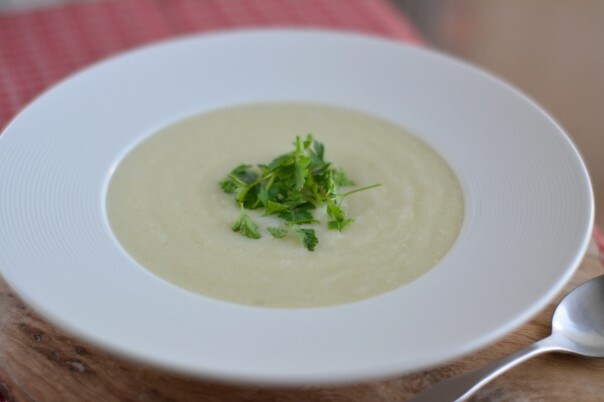 Although you need to keep in mind that the final result mainly depends on the quality of the cauliflower – if it is sweet and tasty, so will your soup. On the other hand, if you stumble upon a tasteless cauliflower, you most probably end up with a quite plain soup. This is why I always get mine from an organic farmer and I have never been disappointed. 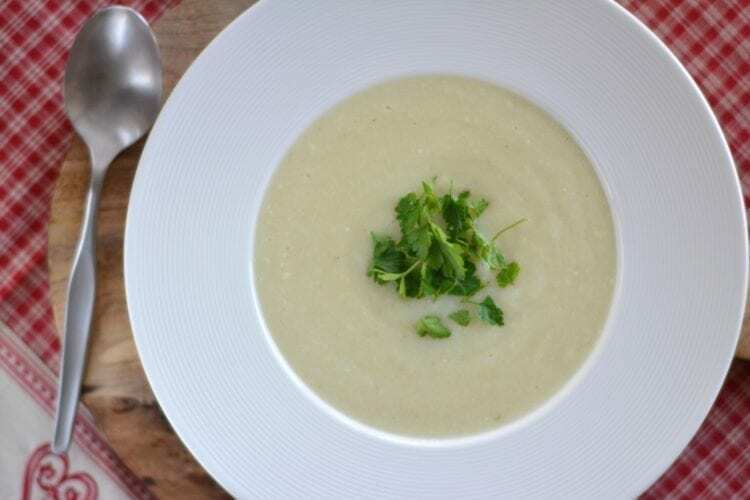 This Cauliflower Puree Soup is plant-based, oil-free and gluten-free. I’ve decided to do a series of puree soups of different colours. By now I have covered red (Beetroot Soup) and white (Cauliflower Puree Soup). I promise, you’ll see some beautifully coloured soups in the next months! In a thick-bottomed soup pot, heat 2tbsp of water. Once it starts to sizzle, add chopped onions. Sautee until the onions become translucent adding water one tablespoon at a time to prevent sticking. Throw in the garlic and sauté for another minute. Add potatoes, cauliflower, vegetable broth and enough boiling water to cover the veggies. Stir well with a spoon. Bring to boil and let it simmer until the veggies are soft enough for pureeing – about 10 minutes. Let the soup cool down a bit, then add the cashews (you may soak them first) and puree with immerse blender or in a regular blender. Add some boiled red lentils, chickpeas or other beans to the plate to have a balanced meal. Top the soup with a tablespoon of nutritional yeast for cheesy flavour. Have a slice of whole grain bread with the soup. 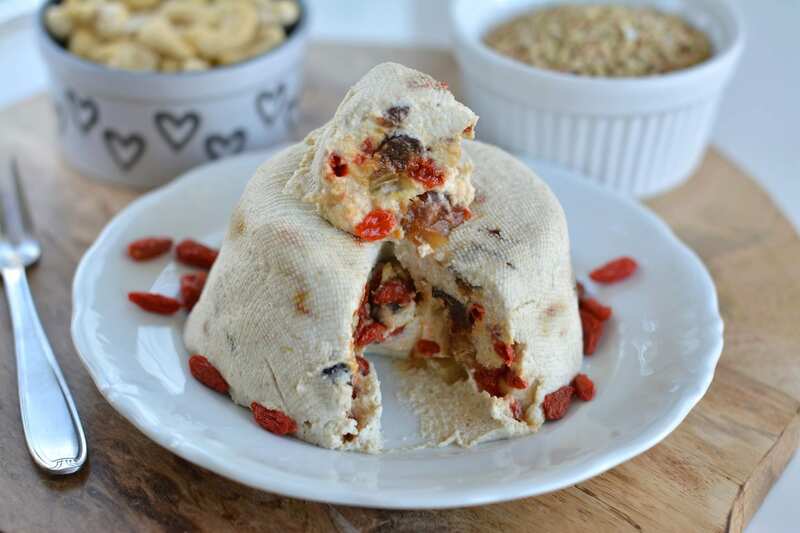 I love to have it with buckwheat bread.